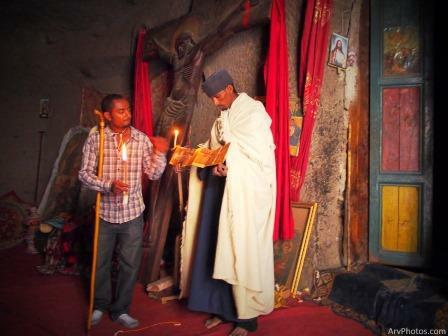 Visited Lalibela Ethiopia to See the rock-hewn churches, rock-hewn is a church is made from a single block of stone. These churches are believed to have been created in the 12th century. There are eleven churches. From Addis Ababa took Ethiopian Airline bombardier 400 to Lalibela, its 645 km from Addis Ababa in northern Ethiopia. From The Airport, I took a shared Van to my hotel, Shared Vans are Cheap and Safe. 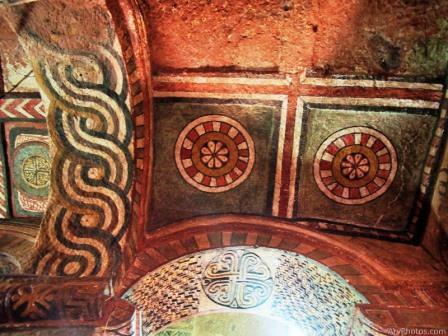 met a guide in the Van and decided to hire him, I would advise folks vising Lalibela to hire guide, one would want to know the history behind the these magnificent Churches. Lalibela is one of the world's precious heritages registered by UNESCO. 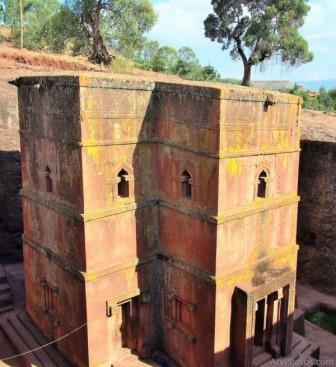 Church of St. George, picture below and Lalibela's most popular Tourist destination, its in the shape of a Cross. 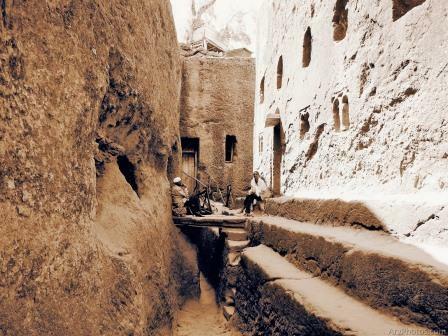 My guide explained that King of Ethiopia his name was Lalibela, he had a dream and wanted to build a city like Jerusalem, in my opinion having visited Jerusalem, Lalibela and Jerusalem are very different. There is a pathway cut into the rocks that leads to the church. 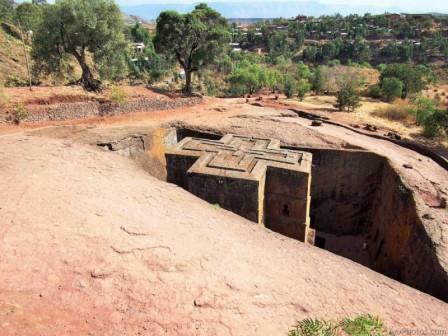 Bet Medhane Alem is the largest of all the rock-hewn churches in Lalibela, 2nd picture below of the Church, there is difference between the Latin Cross and Lalibela Cross. 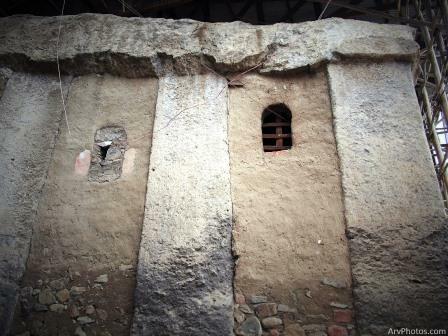 There are 3 churches in the Complex. There is also what used to be a pool, there are different stories regarding the pool, the obvious one my guide pointed out was to collect rain water and also makes the complex pretty. Below picture inside the church. I did visit all the churches, picture below of the interconnect walkways between churches. This Monastery is two hours walk up the mountain overlooking Lalibela on on Mount Abuna Yosef, I took a Tuk-Tuk 3/4 of the way and walked the rest. 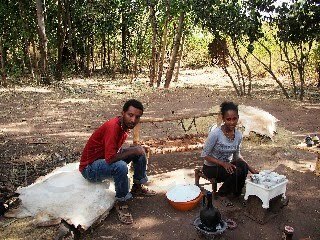 Not touristy at all, most tourist stay in the Lalibela area. 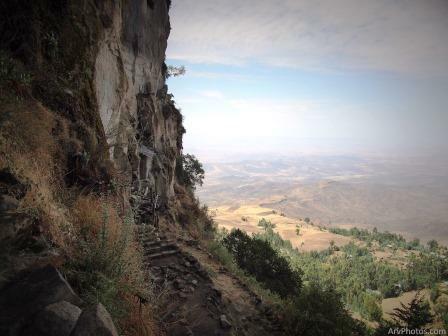 The mountain views overlooking Lalibela are just amazing. I highly recommend visiting this Church for the views. 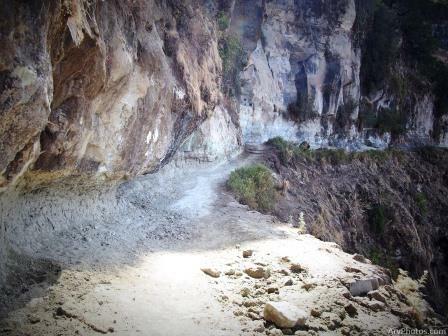 Above the hike you'll have to do, tuk-tuk or vehicles cannot go up here. 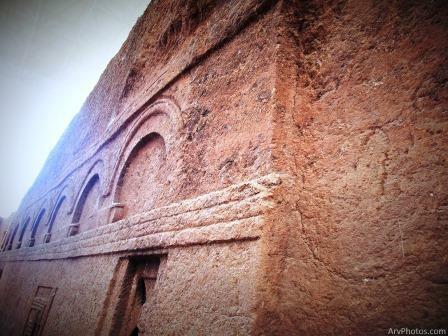 The church is carved into the mountain. The priest showed some scripture preserved for centuries. 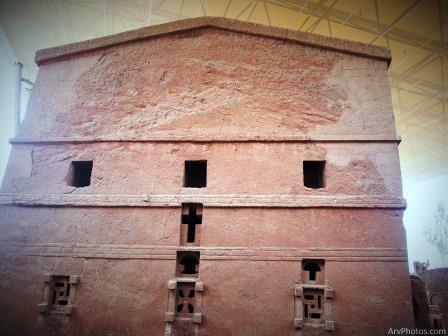 After spending 2 days in Lalibela, my next stop in Ethiopia was Axum, home to the church that claims to have the Arc of the covenant. My Guide and a Lady selling coffee by the roadside, best to buy coffee in a shop or even a roadside shop, there will be lots of kids wanting to take you to their home for coffee, once you are there, they will give you a sob story how they don't have money for school books which cost 50 US dollars, they will want money from you, best not to be put in that situation, Other then that Lalibela is is an amazing place.